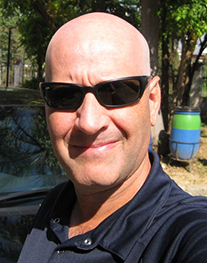 Jon is a software programmer residing in Chaing Mai, Thailand. He reviewed an early edit. I like the plain straightforward style. Tough to do given the subject matter. It reminds me a bit of Stephen Hawking's book "A Brief History of Time". Without using math, both authors are able to help the reader understand problems in modern physics.